Platte Valley senior Ashley Riley didn't have much of a challenge at last year's state meet, but this year, she has five freshman breathing down her neck. The two biggest names of those five are Riley Arnold and Avery Arnold. The Blue Eye dual-sport volleyball players and twin sisters have burst on the scene this year and have helped take the Bulldogs all the way to the top of our Class 1 team race watchlist. For my first bold prediction, I'm calling the race for Riley Arnold with Avery just behind her in 2nd. Of course, this isn't to say that Ashley Riley won't put up a fight. She could very well pull away early and use her state course experience to dust the novices and repeat as state champion. But don't be surprised if the Arnold sisters push the pace early and turn it into a kicker's race. After those two is fellow freshman Braylynn Siercks. Lost in her teammates' shadow, Siercks has put together an impressive campaign and appears ready to break into the top 5. Marion County's Delaney Strauss and Salisbury's Kjirsten Guilford will both try to keep her out of the top 5, but, should Siercks hold them off and Blue Eye scores 6 points with their top 3 girls, they should be able to pull off the team win over the likes of reigning champs West Platte, Lutheran Kansas City, and Liberal, among others. Speaking of freshmen bursting on to the scene, don't forget about El Dorado Springs's Daelen Ackley. 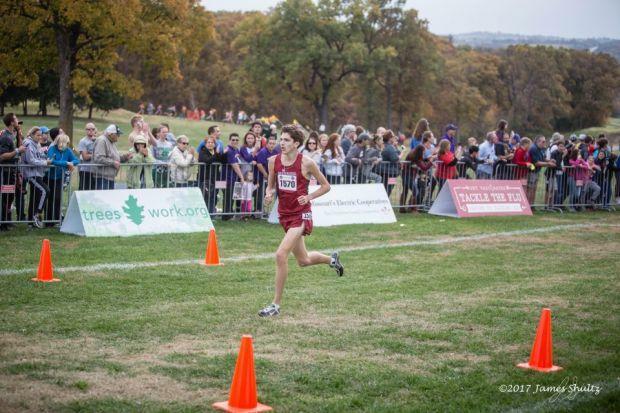 Ackley kicked off his season with a head-turning 16:54.41 at the SWCCCA Invitational and then followed it up with a US #6 Freshman time of 16:08.80 at the Missouri Southern Stampede. Only five freshmen have ran faster than that in Missouri since 2003 - Caleb Hoover, Joe Skelton, Dylan Quisenberry, Austin Hindman, and Ryan Parson. Feel free to look into their illustrious high school campaigns. Ackley doesn't know what bronze even looks like - the young man hasn't finished worse than second all season. Furthermore, he's turned in two other performances under 16:20 and two more under 17:00. Last season, the Class 2 boys race was turned on its head by Caleb Cornelius's title and Malik Stewart's runner-up finish ahead of 1-2 favorites Mark Venable and Kolin Overstreet and with many of the major players returning, we expect it to be just as open this year as it was in 2017. Overstreet returns and should be a top 2 finisher with Cornelius. Stewart has performed well this season, as well, running 15:47.95 at Orchard Farm. Stewart has experience PR-ing at the state meet, but while we don't envision that happening, he will be right around Cornelius, Overstreet, and Ackley for at top 3 finish. There will also be challenges from Nathan Frazee, Joseph Rethemeyer, and Isaac Ashton, among others. Ackley has the chance of becoming the first freshman to finish top 3 in the "new" Class 2. Adam Burkett (California) and Hunter Henier (Fatima) finished 4-5 in 2012. Class 2 has been its own race since 1998 with it being ran as a combined 1A-2A before that. Ray Holt (Thayer) finished 5th in 1993 and Richie Kientzy (Valley Park) finished 2nd in 1995. Talk about a run. 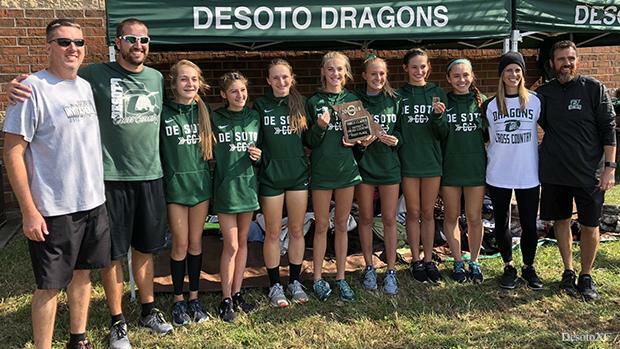 The Desoto Dragons slayed the reigning state champs from Festus last Saturday to win their first district title since 1996 and earn their first state berth since 2006. 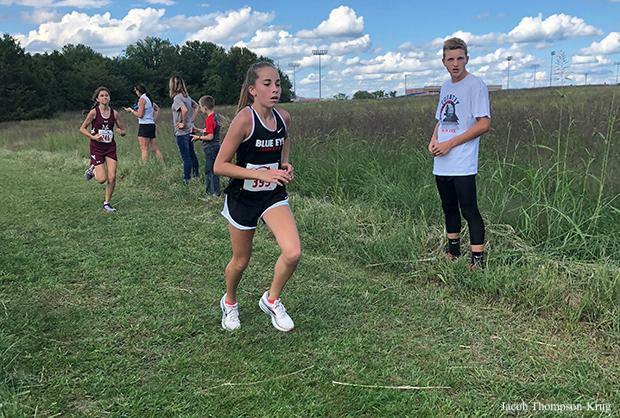 Led by freshman Kayla Vogelsang, who ran a 21 second personal best on Saturday for the District 1 individual win, the Dragons are rolling in October. Junior Lillie Kaempfe, their lone state qualifier in 2017, also ran a personal best and took third. In fact, five of Desoto's top seven ran personal bests at the district meet to key the victory. But even before that, the girls brought home a convincing victory at the Clayton Invitational, beating state qualifiers Incarnate Word by 33 points and a short-handed Festus squad by 43. Of the 21 Desoto girls for which we have recorded 5k times, only 1 has not ran a personal best in the last 3 weeks and only 3 haven't ran a personal best in the last 2 weeks. So how will Desoto parlay this October success into November? Calling them a podium squad at this point may not be too bold as they are 4th in the current team scores, but with about 5 teams reasonably battling it out for 3rd and 4th, it could still be a bold call. Expect these Dragons to soar onto the podium and earn their first ever state trophy in their tenth try. This Colton Palmer guy from Warrensburg has the state meet figured out now. It doesn't matter if it's on the grass or on the track, if the meet has the words "state championships" in it, then you can almost expect Palmer to get on his horse and put on a show. 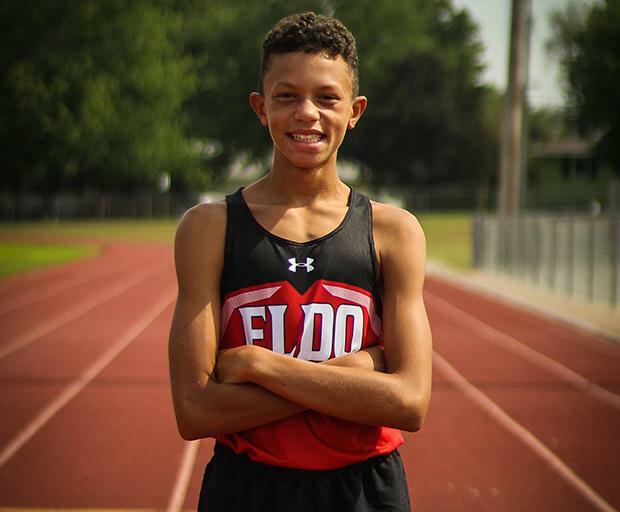 Last fall, Palmer ran a four-second personal best to earn fourth place in Class 3 behind teammate Marquette Wilhite, Festus's Max McDaniel, and Mexico's Alex Dukes. What did he do next? He got on the track in the spring and dropped a 9:20.08 in the 3200 and rolled (literally) across the line for 3rd behind Ryan Riddle and Ben Stasney, just ahead of Wilhite. Now those were some names. So why would be Palmer be afraid of anyone after what he has been able to do in the postseason against all of these other heavy hitters? His 15:58 from the KC XC Classic doesn't scream top-5 contender, but it was a victory on a soggy course. He's been consistently in the low-16:00s all season except for a 17:35 at the back breaker that is Sioux Passage. Fifth at Sectional 3 isn't exactly the best indicator that he will get fifth at state, especially with Christian Baker, Tom Seitzer, and Chandler Gibbens moving into the fray, among others, but Palmer has the chops and the experience to get the job done. Expect to see the senior handle the classification jump with aplomb and earn himself another top 5 medal.